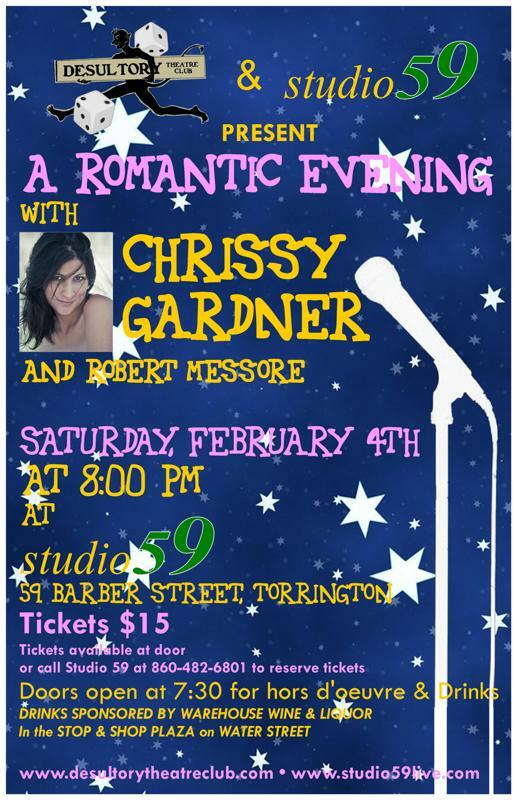 Come out and join us at The Torrington Historical Society! Treat yourself and some friends to a Unique Evening of Entertainment!! Don’t Miss Out!! 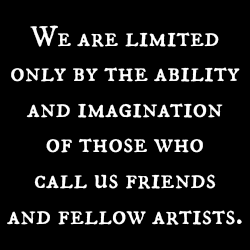 Support Local Art and Artists! Free Drinks and Hors D’oeuvres! 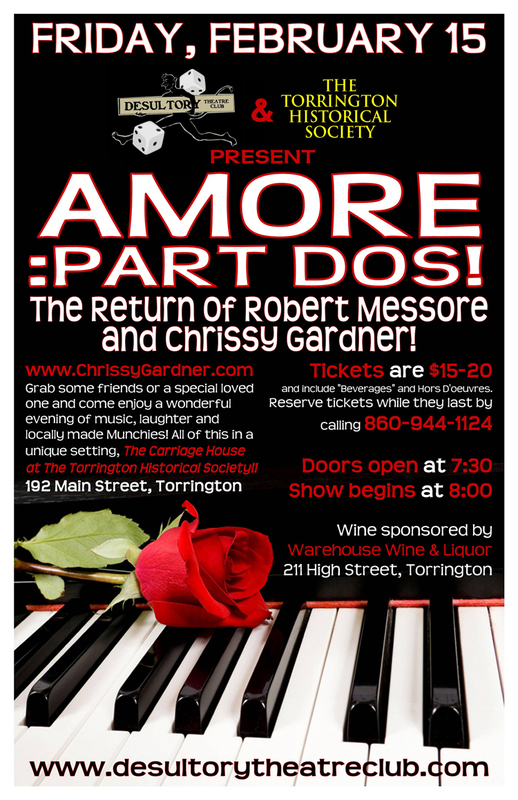 See the Interesting History of Torrington’s Past! 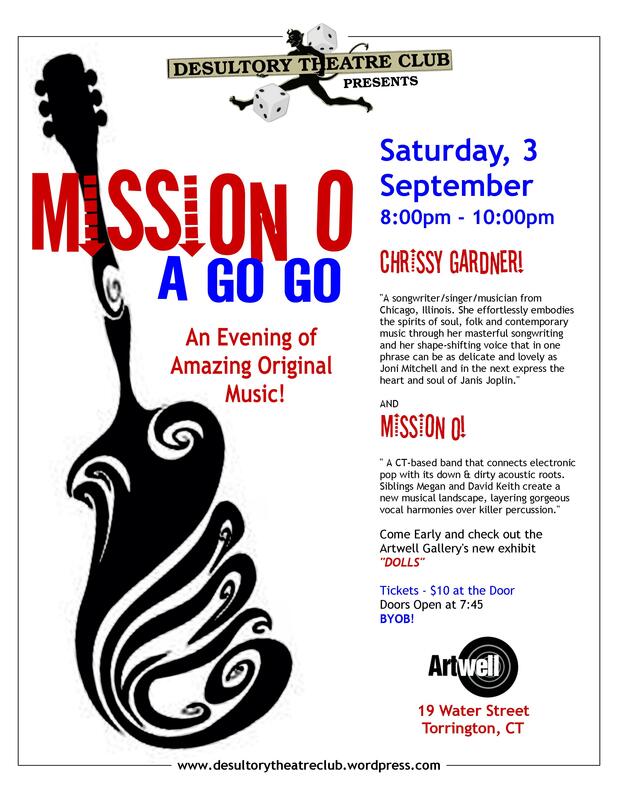 The Desultory Theatre Club presents…“Mission 0 – A Go Go”!An evening of Amazing Original Music! Read more about them in this week’s Advocate! If you survive the Hurricane this weekend, you and your friends should definitely get over to Artwell on Saturday, September 3rd, and check out these Amazing Original Musicians!! They are extremely excited to play for you crazy kids in the Northwest Corner, so come on out and show your support! Show up Early and Check out Artwell’s Newest exhibit “Dolls”.